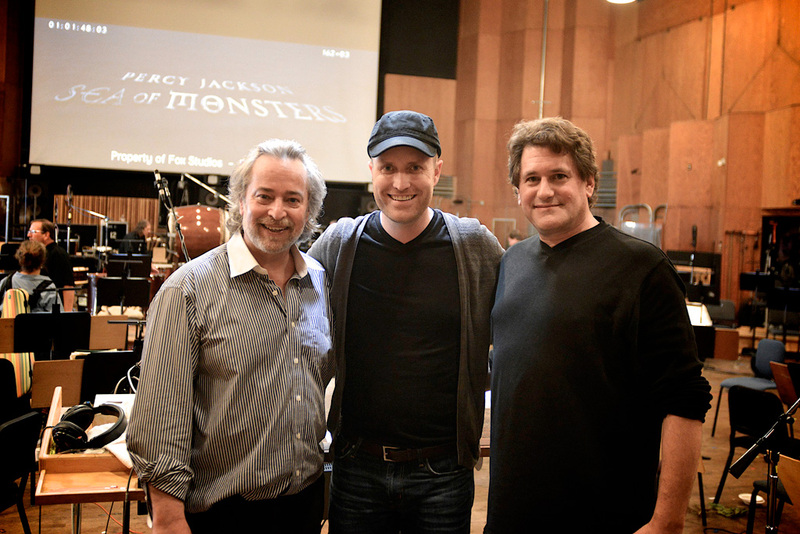 2 Pop Music principle Will Kaplan poses with Nicholas Dodd (orchestrator and conductor) and composer Andrew Lockington on the Newman Scoring stage at Fox studios after six days of scoring the second in the Percy Jackson film series. This was Andrew’s first score in Los Angeles and it went phenomenally well, consisting of a 94 piece orchestra and 40 piece choir. Will has spent over nine months on the show doing the temp, scoring sessions and final mix. Look for Andrew’s upcoming score on Warner Bros.’ “Journey to the Center of the Earth 3” with 2 Pop editor Stephen Lotwis.